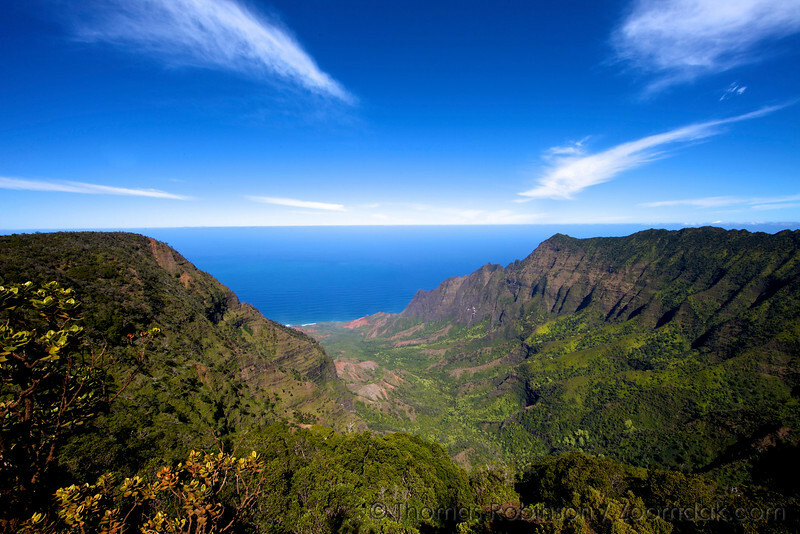 Waimea Canyon - Waimea is Hawaiian for red water, referring to the beautiful color of soil in Waimea Canyon. Partly because the "horizon line" you see is actually clouds. The true horizon line isn't even visible between ocean and clouds. Trippy eh? The horizon line seems so out of this world! The line seems as close as the ridges.